ANY school teacher or school district employee CAN take this course on their own and receive this certification regardless if your school allows you to carry in school or not. Note: Although any school employee can receive this certification, you must still have permission from your ISD to carry in school and on the job. Having this certification will help you in the future if the law changes or your school decides to use the guardian plan and allow certain staff to carry, you will already have this State certification and training. For school staff that already carry in school, this course and certification will provide you with valuable life saving information, tactics and advanced handgun training. Tactics for denying an intruder entry. Methods for increasing accuracy with a handgun while under duress. Also included is how to defend against a intruder using items commonly available in a classroom. Also included is learning what common items you should have in your classroom to use to deny entry or defend. Also included is learning how to “think” under stress. Also included is learning how to “be prepared” for the worst case scenario. The course is a two day course and will start at 8:00 am and end at 4:30 pm on each day. One hour lunch plus breaks are given on each day. 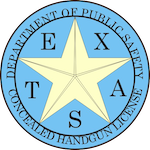 Upon successful completion of the course, the staff member will receive a Texas Department of Public Safety Proof of Training Certificate that can be filed in the staff member’s file at the school. 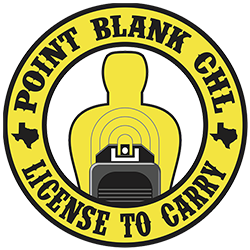 It will also be filed with the Texas Department of Public Safety as part of your license to carry. ​This provides a level of training unsurpassed in Texas. Not only does it give the stakeholders a liability shield against claims, but it gives the administrators a view of the skill level of their employees. * 250 rounds of ammunition. * Closed toe shoes. No sandals or flip flops. * No low cut V neck shirts or tank tops. * Baseball cap or hat with a bill.